Can’t get enough of Paco, Paz, & Pepe? Don’t worry – you’re not alone! Stay connected with Adventures in Toucanland to be sure you don’t miss out on any of the toucan fun. – Our main site, Adventures in Toucanland is where you can find general info about The Toucan Lady & The Toucan Trio, all of our blog postings, and search through the archives in case you missed anything. You can subscribe on our main page to receive emails of new posts or directly through your reader. 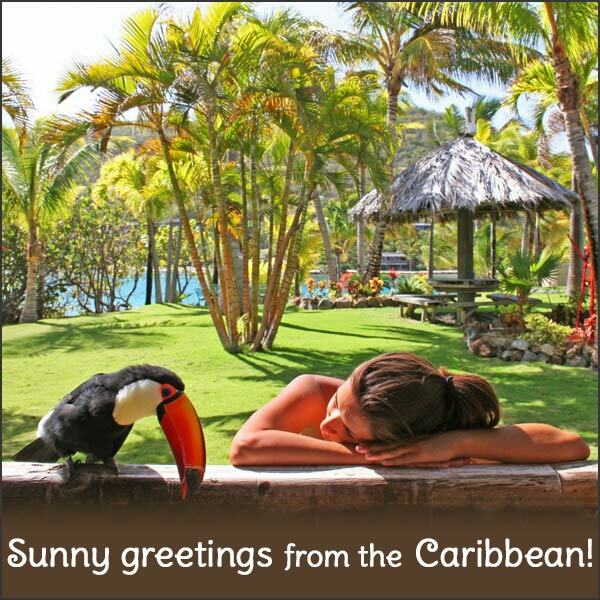 – Facebook is the place for the newest toucan news and to meet our favorite birdie friends. Come on over and give us a “Like“! – Instagram is where the Toucan Lady posts about our daily life in the Caribbean. Follow us there for content you won’t find anywhere else. – YouTube holds the live action footage of the toucans and their hijinks. Subscribe to our channel to get the newest videos sent straight to you. This entry was posted in General Info and tagged animals, bird, birds, Caribbean, exotic birds, exotic pets, Facebook, Flickr, island, pet birds, Toco Toucan, Toucan, toucan channel, toucan websites, toucanland, toucans, tropical birds, You Tube by Toucan Lady. Bookmark the permalink.